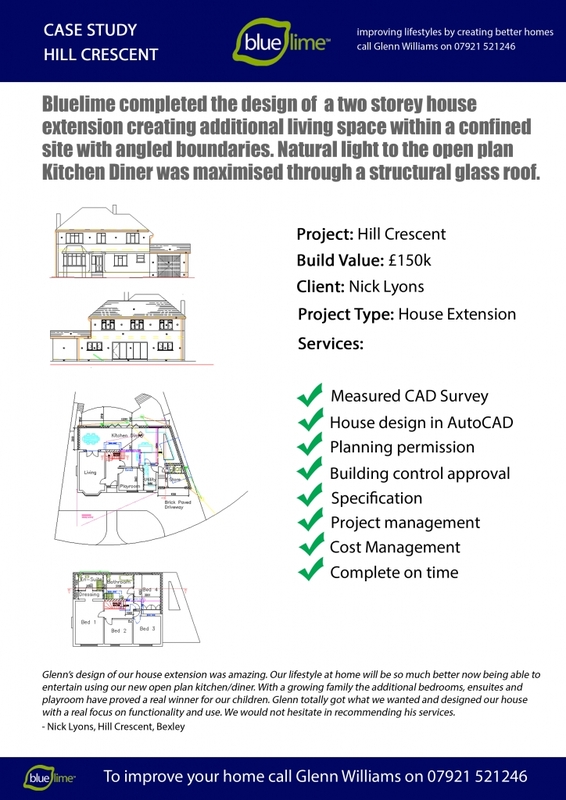 Bluelime completed the design of a two storey house extension creating additional living space within a confined site with angled boundaries. Natural light to the open plan Kitchen/Diner was maximised through a structural glass roof. Our Closest Bluelime Home Design Office to this project is Bexley, we also have offices also in Dartford, Erith, Croydon and Bromley.